Monica became a member of the King’s Camps and Fitness Pro Team in 2017. 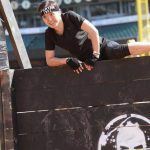 While relatively new to the OCR race circuit, Monica is a fierce OCR athlete that achieved a podium finish at the 2017 Terrain Race. In 2015, Monica ran her first OCR race and was instantly hooked on the sport. 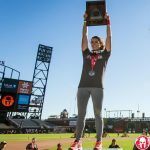 She ran 20 OCR races in 2016 and completed three Spartan trifectas. In addition to OCR, Monica frequently can be found racing local trail series such as the Rodeo Valley 30K Trail Run, Surfers Path Marathon, and the 18-mile Mermaid Run. With her infectious passion for OCR and running, Monica will conquer anything she sets her mind to—she truly embodies the King’s Camps and Fitness philosophy to #overcomeyourobstacles. When she’s not out on the trails or in the mud racing, you can find Monica training at our OCR Open Gym or Warrior Boot Camp.